What course did you study ? Yes, I’m working on quite a few commercial jobs at the moment – a TV advert that’s being broadcast on Boxing Day and a couple of website/ explainer videos for tech companies. I always try and have some sort of personal project on the go as well to keep developing my skills and to tailor my portfolio for the kind of jobs I want to be working on too. What was it like working as a lead in Motion Graphics? It was great, my role meant that I was able to be apart of the whole creative process; right from pitching the idea to the client through to developing the designs and visuals and right through to final delivery. I learnt a lot about the whole creative process as well as leading a team of designers and animators on multiple projects at a time. What does your day to day work life consist of? It really altered from day to day depending on the projects we had on at any given time, but in general most mornings were spent in meetings about the current jobs we had on, conference calls with the clients and finding resources for when we needed some overflow help. Then in the afternoon, that’s when I was able to be heads down animating and designing on the projects, as well as working with the other animators and designers on the job. What work are you most proud of working on and what is your most notable achievement? I’m not sure if I have one single project I’m most proud of, for commercial work it’s always great when you are able to really achieve the clients goals and for them to get a lot of use and return on investment from the work that you’ve done – it’s so much about clearly and effictively telling the clients story. I’m really proud of the personal projects I’ve worked on, mainly because with each one I try and push myself and really aim for something that takes me out of my comfort zone and forces me to learn something new. It’s great to look back and see how much you can learn on each given project and see your development and progress from start to finish. My most notable achievement is probably for the Ford Go Detroit piece I did, wewon a few awards for that one so that was really nice to get the recognition for that piece. What is it like to work as a Freelancer in Motion graphics? I love it! I’m able to have a lot more control over the projects I take on and I find it really rewarding. I feel a lot more involved in the projects I work on and feel like I’m able to get to know the clients needs a bit better too. It also allows me to be more flexible with my time. I’m able to take the afternoon off and spend it with my wife if I want, obviously I have to meet deadlines but I’m not tied into a set 9-6 office hours. What's your favourite animated character and why? I’d have to say Wall-E just because it’s such a great storyling and Wall-E is just such a well designed, thought out character that you can relate to even though he's a robot. 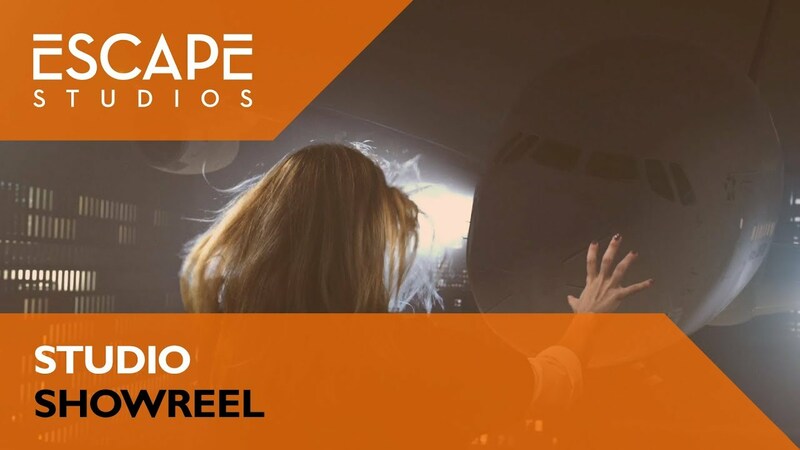 How did studying at Escape Studios help you into the world of motion graphics and prepare you for this role? The Motion graphics course really kick started my career in Motion Design. I’d done some self learning like online tutorials but I was pretty stuck just copying YouTube videos and didn’t know how to create a motion design piece from scratch and the Motion Design course at Escape really changed that for me. It taught me about design and story telling as well as animation principles and how to bring them all together to create a compelling motion design piece. What lessons have you learnt during your time studying and your time working in Motion designing? I’ve learnt a lot working in the industry and I think that’s when you really start to learn how to put your skills into practice but the main things for me would be to really try and develop your own unique style and take on things. You’re much more valuable as a motion designer when you have a unique voice and approach to your work. Also do the work you want to get paid to do before someone pays you to do it – people don’t like taking risks, if you want to do a specific style or type of work then do it as a spec/personal project first. Then people will hire you because they can see you can do it. Really try and develop your own unique style and take on things. You’re much more valuable as a motion designer when you have a unique voice and approach to your work.